Hey y’all! I’m Gabriel. 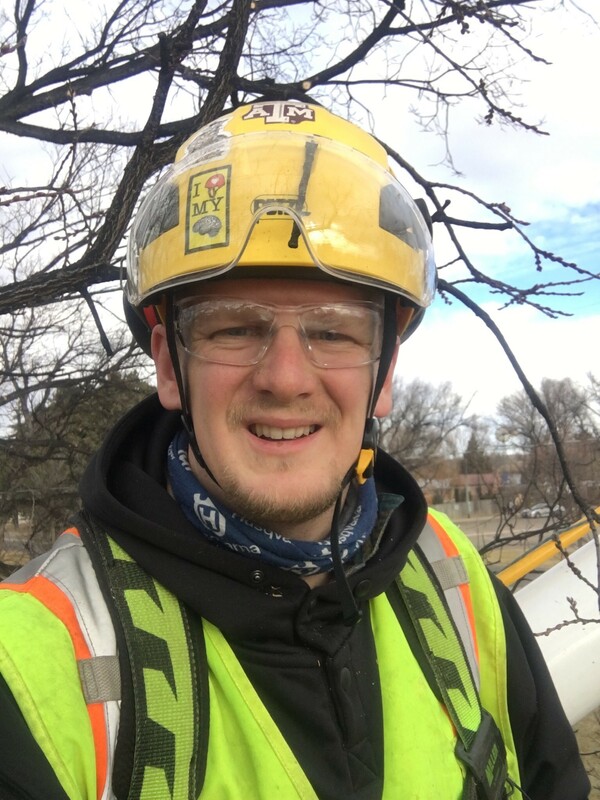 I am an ISA certified arborist working for the city of Cheyenne Urban Forestry department. My family and I recently relocated here in August 2018 from Texas. I grew up in Idaho and Maine and went on to receive my bachelors of science in horticulture from Brigham Young University – Idaho. I was first drawn to the degree because of the landscape design aspect but fell in love with maintenance. I had the opportunity to work on the arborist crew while attending college before starting my career path in the green industry. My adventures took me first to Las Vegas, Nevada where I worked for a tree company for a short time and then we moved to College Station, Texas where I helped take care of the landscape at Texas A&M. This move to work for the city has brought me back to my “roots” of caring for trees and living in the west again. I am anxious to help plant, prune and nurture the trees of Cheyenne, Wyoming so that everyone can enjoy and benefit from their beauty and purpose for years to come. 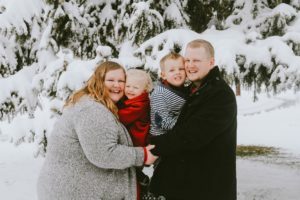 When I am not working with trees I like to read, fish and watch movies and spend time with my family, my wife Heather and my two kids: Ezra (4) and Charley Sue (2). One of my favorite trees is: American sweetgum (Liquidambar styraciflua) because of the neat looking five-pointed star-shaped leaves and the spiky fruit. When asked what my favorite tree is: it depends…on where I’ve lived: Maine – red maple (Acer rubrum) -beautiful fall color! Idaho: Douglas fir (Pseudotsuga menziesii) – lots of trees growing on the mountainside of my boyhood home. Nevada: Blue Palo verde (Cercidium floridian) cool green bark and vibrant yellow flowers. California: Joshua tree (Yucca brevifolia) – amazing plants, very unique habit. Texas: Texas mountain laurel (Deratophyllum secundiflorum) – because of their lovely flowers and sweet perfume scent. Wyoming: hackberry (Celtis occidentalis) – corky bark and pretty berries.